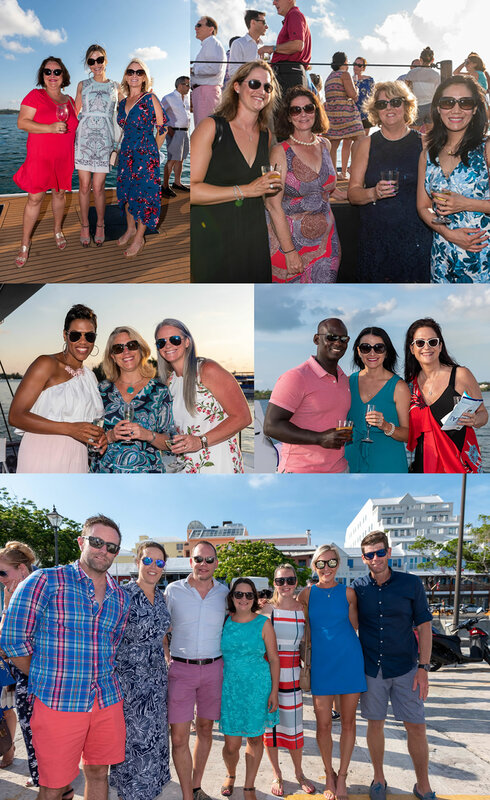 HAMILTON, Bermuda – 15 June 2018 – 100 Women in Finance (“100WF”), a global network of professionals in the finance and alternative investment industries, raised approximately US$30,000 with net proceeds donated to its 2018 Bermuda Beneficiary, Tomorrow’s Voices, at the annual gala event held aboard the Zara on June 9. Established in 2007, Tomorrow’s Voices was created by parents of autistic children, Mrs. Tricia Simons (Crow) and Ms. Thea Furbert, who identified the need for hands-on Applied Behaviour Analysis/Verbal Behaviour services for children on the autism spectrum. Recently announced as the Best Early Autism Intervention Program in the Caribbean by UK-based Global Health & Pharma Magazine (GHP) as part of their Social Care Awards, Tomorrow’s Voices has been internationally recognised as an organisation that shows the highest level of innovation, compassion and courage in the challenging field of social care. Within Tomorrow’s Voices’ unique generalisation framework, their general curriculum teaches each child critical language skills, functional activities, socialization, initiation/spontaneity and generalization of mastered concepts/skills. These skills are built into every child’s educational program and individualized to meet his or her learning style and unique needs, with the overall goal being to assist with reintegrating children back into their neighbourhood schools with minimal supervision and to provide them with a better quality of life through intervention. Alison Morrison, 100WF Bermuda Chair, noted, “100 Women in Finance is delighted to support the work carried out by Tomorrow’s Voices and help raise awareness of the programs that are so important for children and families in our Bermuda community.” 100WF Bermuda Philanthropy Chair Gillian Kersse added, “Our guests had a fabulous evening on the Zara and we are so grateful for the generosity of our gold sponsor, Nephila, and for enthusiastic bidding during our live auction from our supporters across Bermuda’s financial services and reinsurance community”. Commenting on its selection as 100WF’s 2018 Bermuda beneficiary, Thea Furbert, Co-Founder of Tomorrow’s Voices said, “Tomorrow’s Voices is honoured to have been chosen to receive this support. 100WF’s financial contribution will assist us in continuing to provide therapeutic services and educational outreach for those with autism and other developmental disabilities. We are truly thankful for this support as it ultimately will provide our clients and their families with resources that will positively affect their lives”. 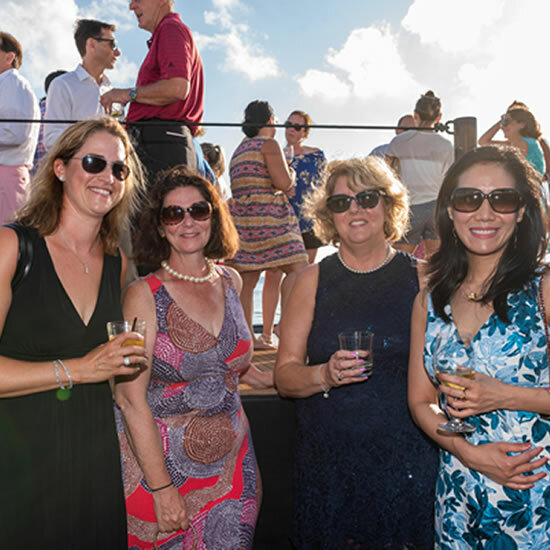 Members of Bermuda’s finance and alternative investment industries interested in joining 100WF can learn more about the organization at https://100women.org/membership/become-a-member/ or by contacting the Bermuda Committee. Networking and education events in Bermuda are planned throughout 2018. Tomorrow’s Voices is Bermuda’s Autism Early Intervention Centre. It provides hands-on Applied Behavior Analysis and Verbal Behaviour services for children on the Autism Spectrum, with a goal to provide children with skills to assist with their reintegration into neighbourhood schools and to provide them, along with their families, a better quality of life through intervention.